Leonard Cohen, one of the most admired performers of the last half century, has had a stranger-than-fiction, roller-coaster ride of a life. Now, for the first time, he tells his story in his own words, via more than 50 interviews conducted worldwide between 1966 and 2012. 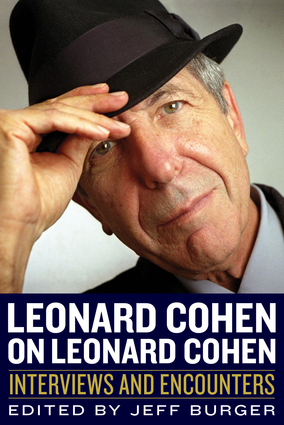 In Leonard Cohen on Leonard Cohen—which includes a foreword by singer Suzanne Vega and eight pages of rarely seen photos—the artist talks about “Bird on the Wire,” “Hallelujah,” and his other classic songs. He candidly discusses his famous romances, his years in a Zen monastery, his ill-fated collaboration with producer Phil Spector, his long battle with depression, and much more. You’ll find interviews that first appeared in the New York Times and Rolling Stone, but also material that has not previously been printed in English. A few have not been available until now in any format, including many illuminating reminiscences that contributors supplied specifically for this definitive anthology. Jeff Burger is the editor of Springsteen on Springsteen. He has contributed to Reader’s Digest, Family Circle, GQ, the Los Angeles Times, Barron’s, and more than seventy-five other magazines, newspapers, and books, including many national and international music periodicals. 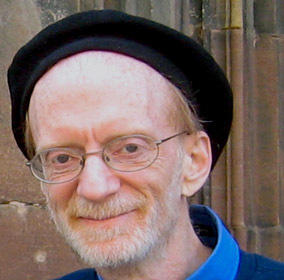 He has published interviews with such leading musicians as Bruce Springsteen, Billy Joel, Tom Waits, the Righteous Brothers, and the members of Steely Dan. He has also interviewed many other public figures, including Sir Richard Branson, F. Lee Bailey, James Carville, Suze Orman, Sydney Pollack, and Wolfman Jack. His website is byjeffburger.com.